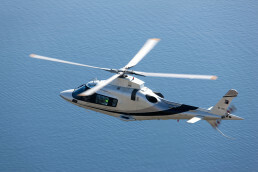 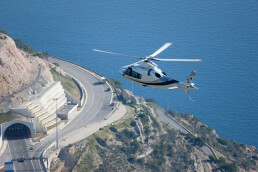 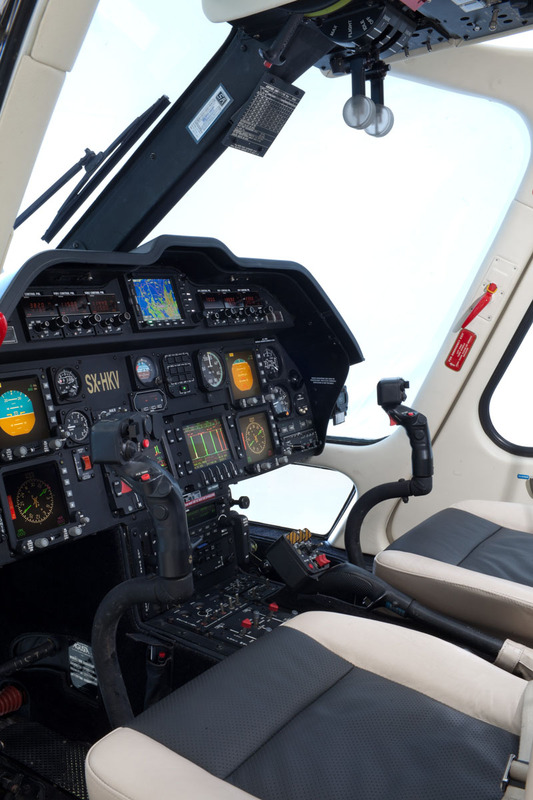 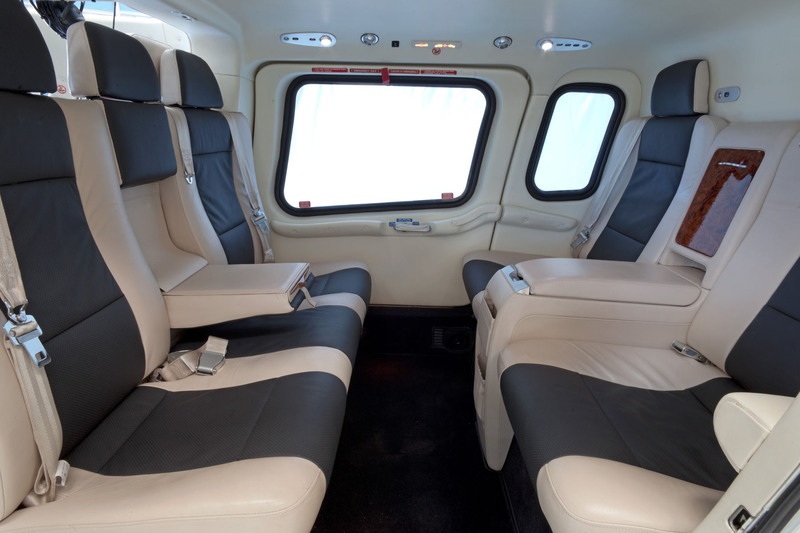 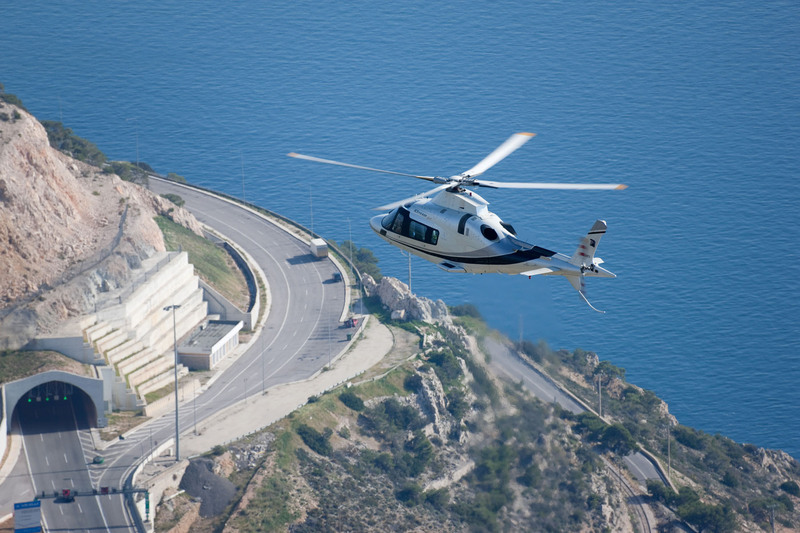 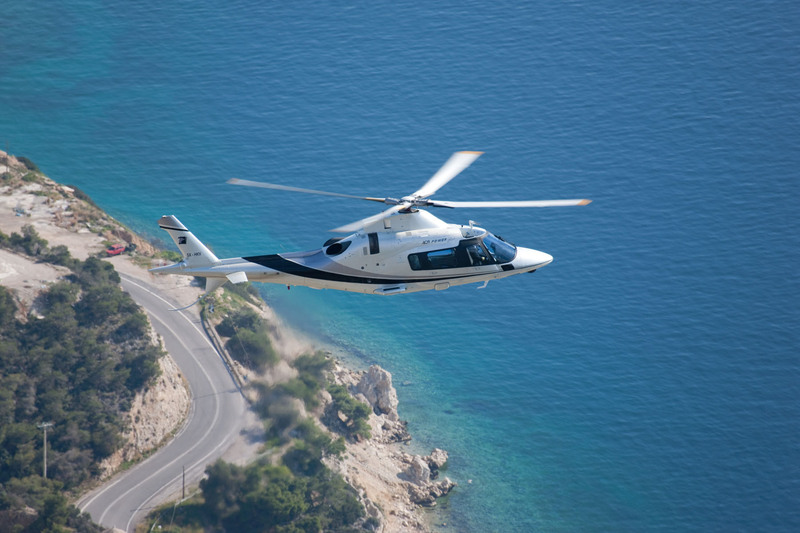 Enjoy a new traveling experience with the Agusta A109 Power Elite. 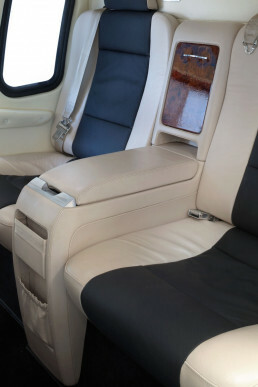 Fly for business or leisure to any destination in speed, style and safety. 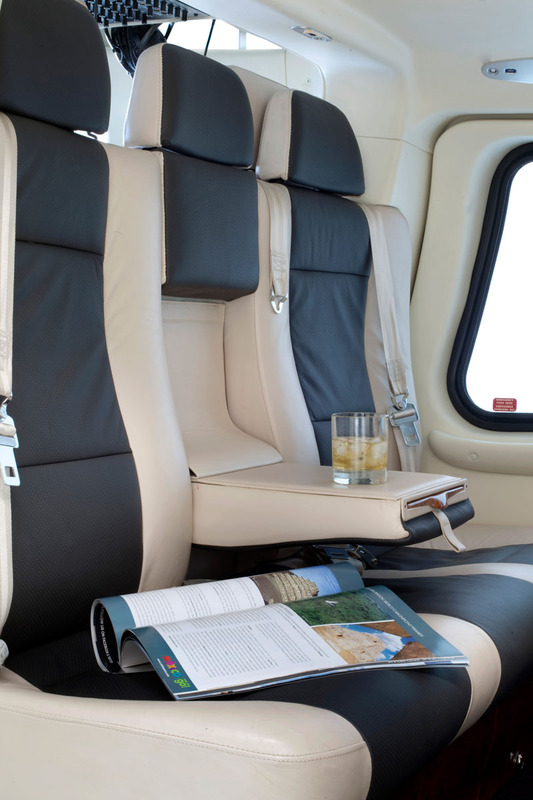 Apart from its striking aerodynamic silhouette, the cabin offers a spacious, quiet and luxurious environment, equipped with an air-conditioned leather seated interior, including a mini-bar. 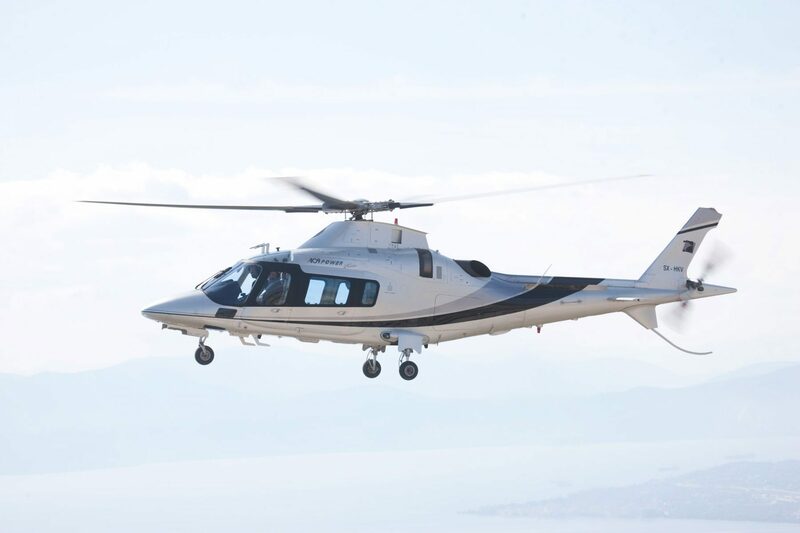 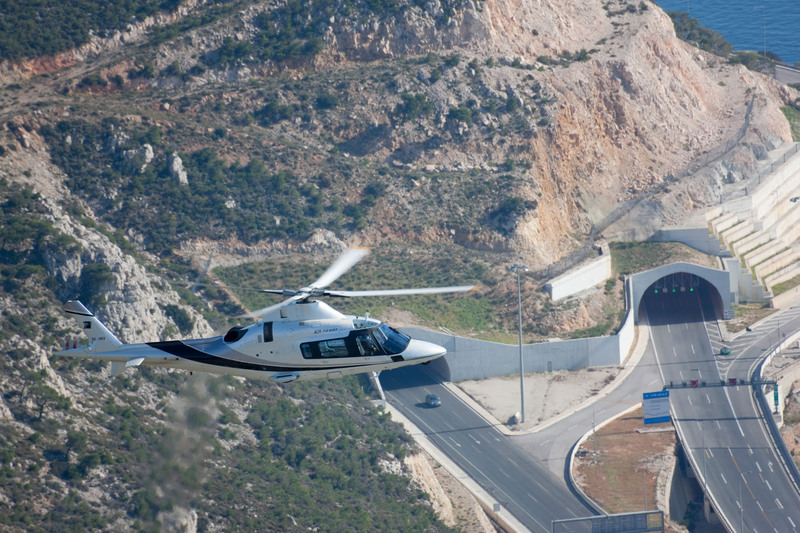 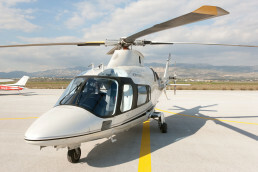 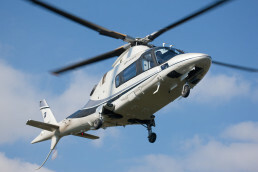 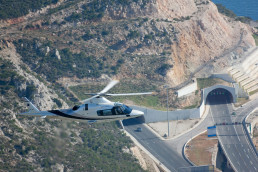 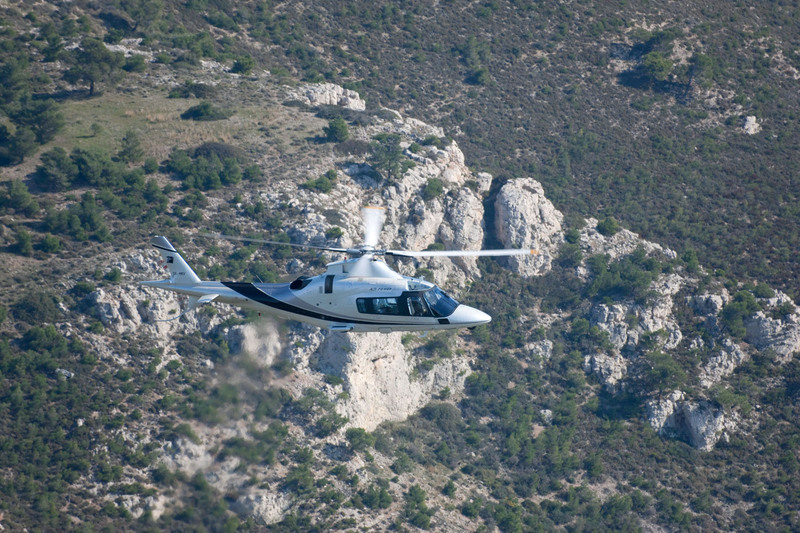 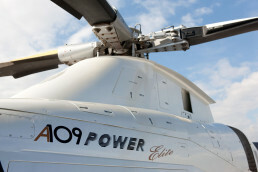 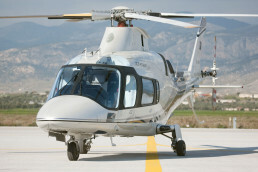 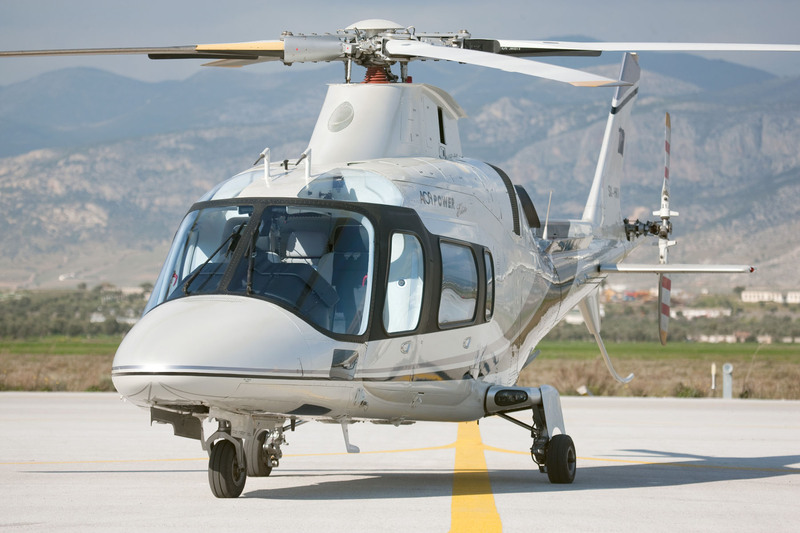 In addition to its elegance, the Agusta A109 Power Elite is one of the fastest commercial helicopters in Greece. Its two engines and two separate flight control hydraulic systems guarantee the highest level of safety for your flight.